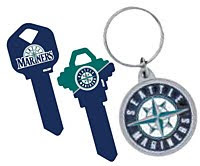 Have you seen those specialty keys that have a design or team logo on them? You can purchase a blank key and then have them cut to match one or more of your own keys. The idea is that you won't have to search for a key on your key ring. You'll know the Mariner key is for the boat (get it? Mariner? Boat?) and be able to identify it easily. Both of these options cost at least a little bit of cash, but I read about a free alternative in All You Magazine's June 2011 issue. 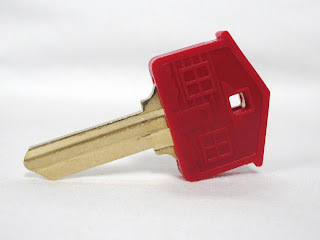 Why not paint a key with nail polish? It will adhere to the key easily and last a long time. It won't wear off like marker ink, for example, and it might save you a few valuable moments when you're trying to hurry a kid into the house for the potty or frantically trying to get into your car because you're going to be late for the pediatrician - again!